Born in Gunma Prefecture in 1962. 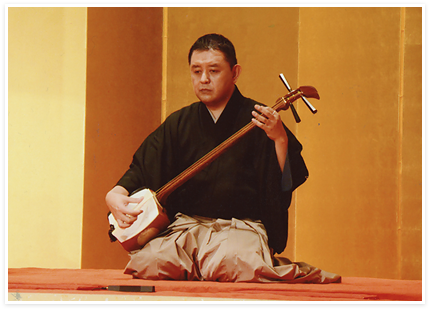 Started to learn Shamisen when he was 8 years old. Studied Minyo (Japanese folk songs) under Hideryu Fujimoto and Hauta (short love songs) under Hidesuke Fujimoto (present Hidesuke Nishi) and Hideo Fujimoto afterwards. Started to learn Nagauta (long epic songs) under Katsusho Kineya II when he was 12 years old and was given a name, "Katsusyouya Kineya". 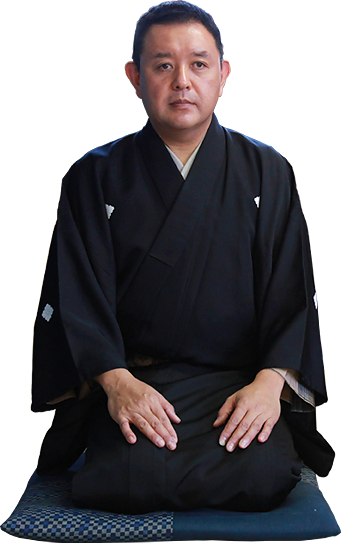 Studied more under both Katsusaburo Kineya, the 7th head master, and Katsukuni Kineya. Studied Kouta (ditty) under the 2nd head master Shigeko Koroku and was given a name of "Shigeiya Koroku" Studied Kouta more under the head master of , Chie Senshi. Learned Utazawa (a kind of Japanese popular ballad) under the 6th Shibakin Utazawa and succeeded to a name of 5th Katsumatsu Kineya in 2005. Kabuki performance in Europe with Tamasaburo Bando, Kankuro Nakamura, Danjuro Ichikawa, etc. Kabuki performance in London with Tamasaburo Bando and made a performance as a member of Nagauta performance team in Europe. 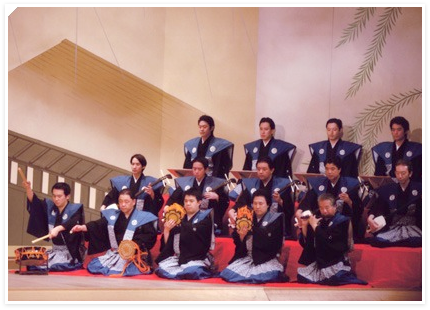 Lots of performances on stages such as Kabukiza, Shinbashi Enbujo, National Theater in Tokyo, Minamiza in Kyoto, Misonoza in Nagoya and Shinkabukiza in Osaka. Various performances on TV as well. Created a new school of Hauta "Ouseikai" and has superintended "Ouseikai" as "Masaki Ousei.". Also has superintended Nagauta "Katsunekai". Has worked as a councilor of Foundation Kineshokai.